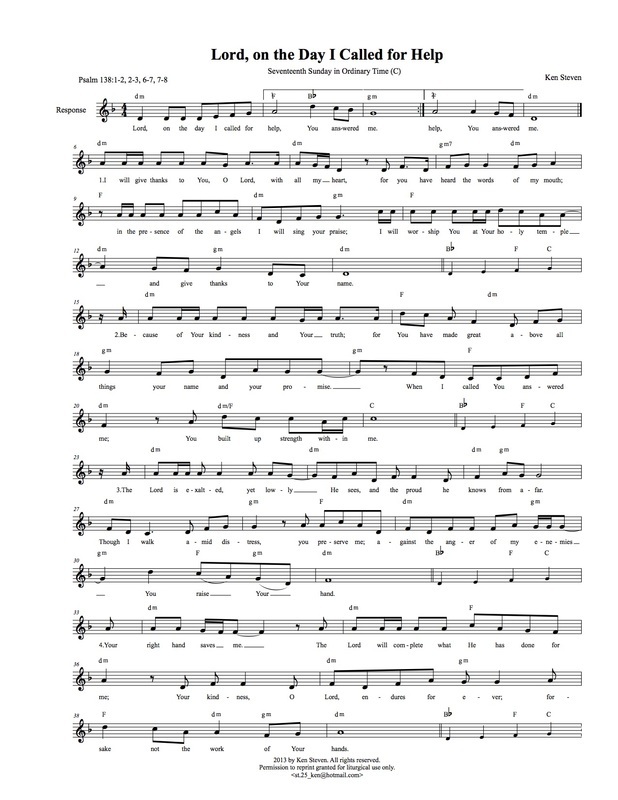 Our responsorial psalm settings are by Tinnah M. dela Rosa and Patrick John M. Fernandez. Please click the picture or the highlighted link to download the high resolution PDF files of our composers. Click the highlighted link to view the readings for August 7, 2016 in English via the US Conference for Catholic Bishops website. 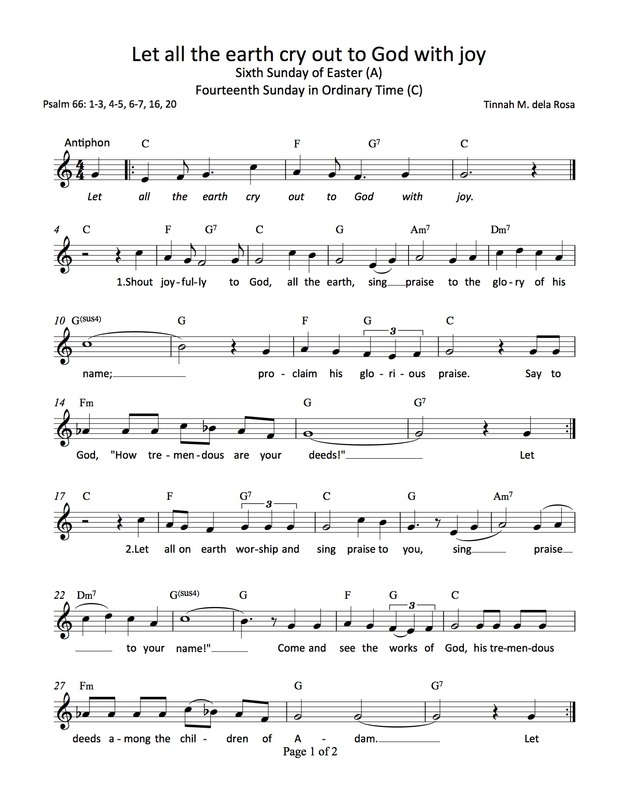 Our responsorial psalm setting is by Tinnah M. dela Rosa. 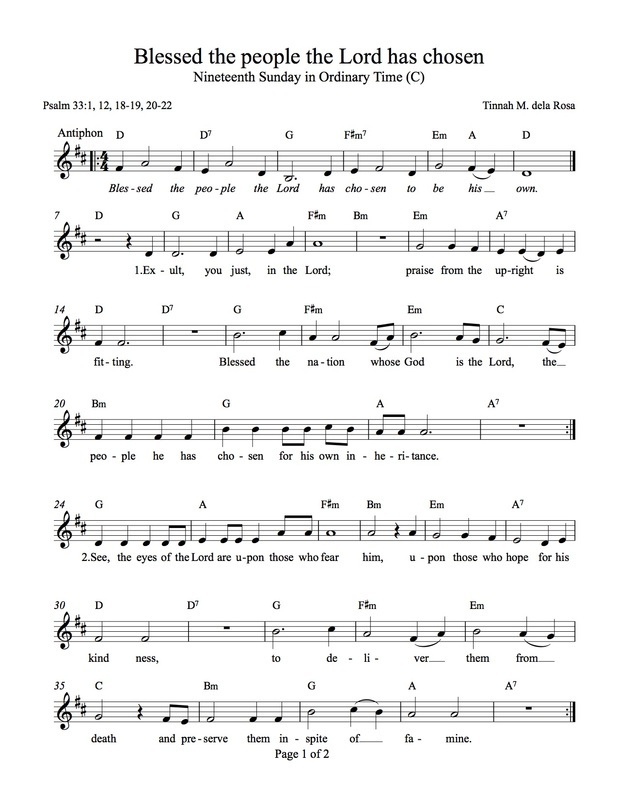 The refrain for this responsorial psalm is challenging often when God speaks the human heart resists. This is normal and to be expected, for conversion is never easy. When do you find yourself resisting God's voice? Who or what helps you open your heart to "what matters to God" (gospel)? 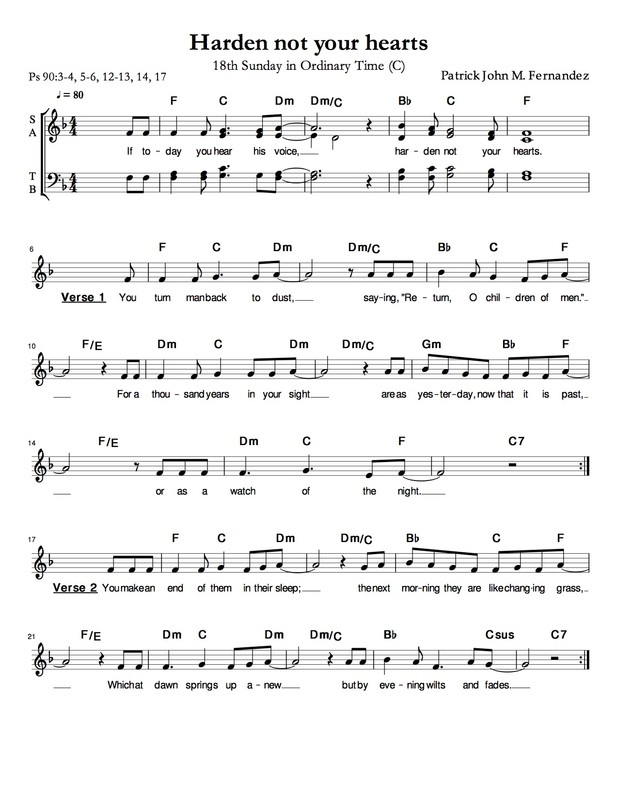 Please click the picture or the highlighted link to download the high resolution PDF files of our composers. Click the highlighted link to view the readings for July 31, 2016 in English via the US Conference for Catholic Bishops website. 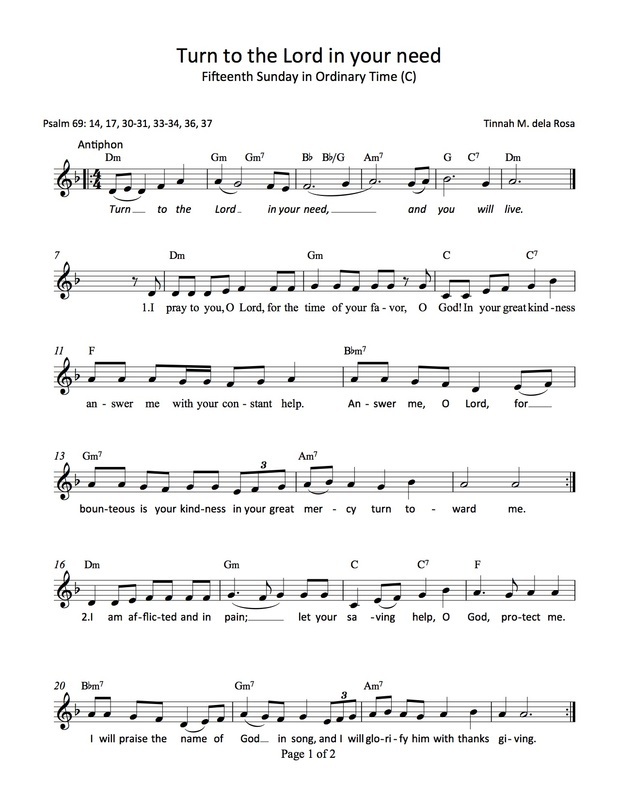 Our responsorial psalm settings are by Tinnah M. dela Rosa and Ken Steven. 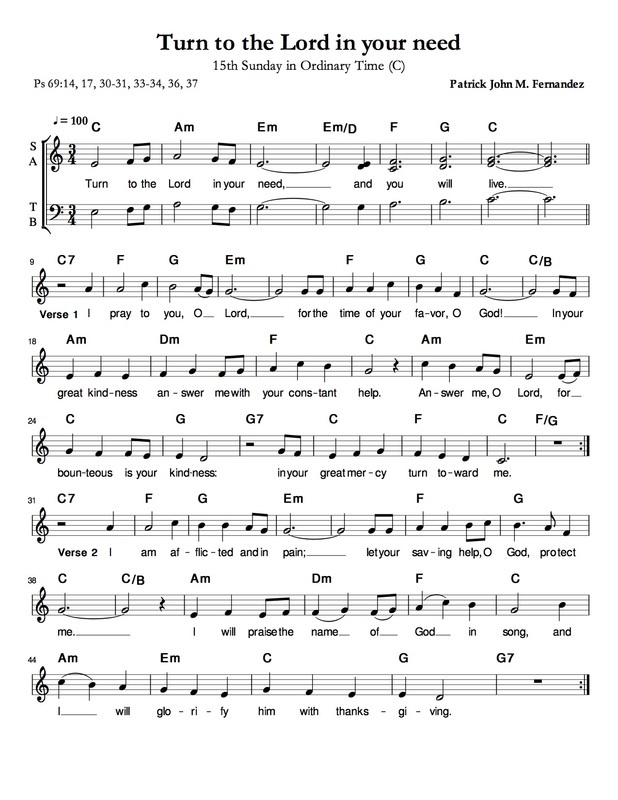 When you sing the responsorial psalm what the assembly hears more than the beauty of your voice is the sound of your praying. Ask Christ this week to teach you how to pray the psalm. Please click the pictures or the highlighted link to download the high resolution PDF files of our composers. Click the highlighted link to view the readings for July 24, 2016 in English via the US Conference for Catholic Bishops website. 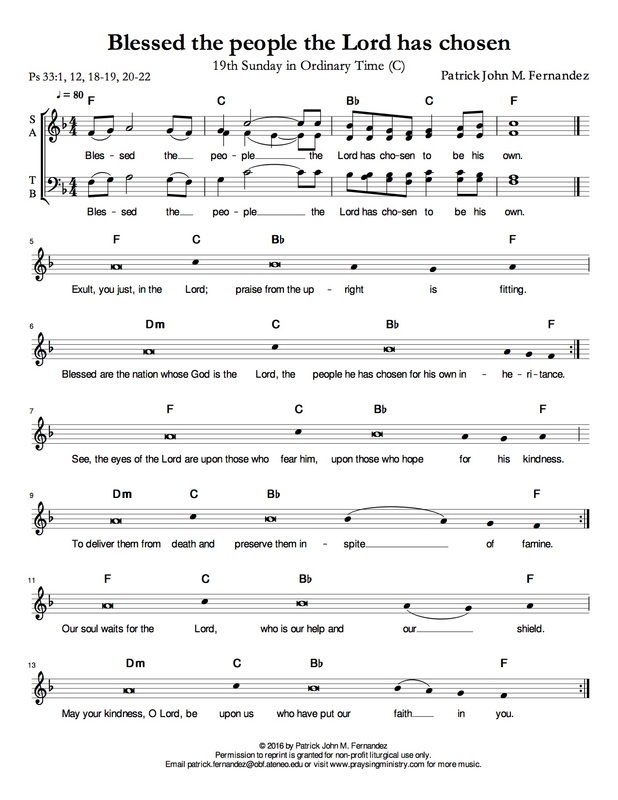 In preparing to sing this responsorial psalm, spend some time reflecting on how you choose to live in the presence of God and how that choice shapes your manner of living. When and how do you take time to be with God? How, in concrete ways, do you let God's presence challenge your manner of living? Please click the pictures or the highlighted link to download the high resolution PDF files of our composers. Click the highlighted link to view the readings for July 17, 2016 in English via the US Conference for Catholic Bishops website. Please click the pictures or the highlighted link to download the high resolution PDF files of our composers. Click the highlighted link to view the readings for July 10, 2016 in English via the US Conference for Catholic Bishops website. 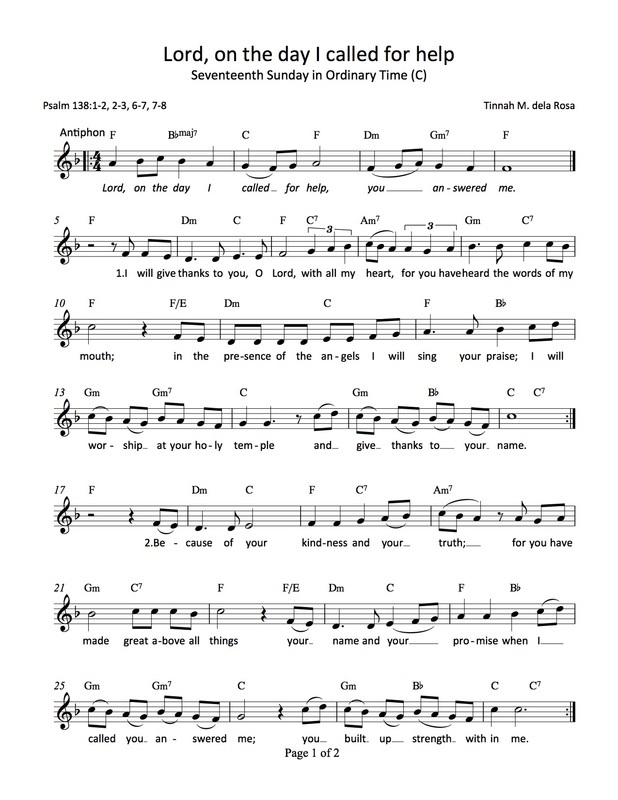 Our psalm settings in English are by Tinnah M. dela Rosa, and Patrick John M. Fernandez. Please click the pictures or the highlighted link to download the high resolution PDF files of our composers. Click the highlighted link to view the readings for July 3, 2016 in English via the US Conference for Catholic Bishops website.